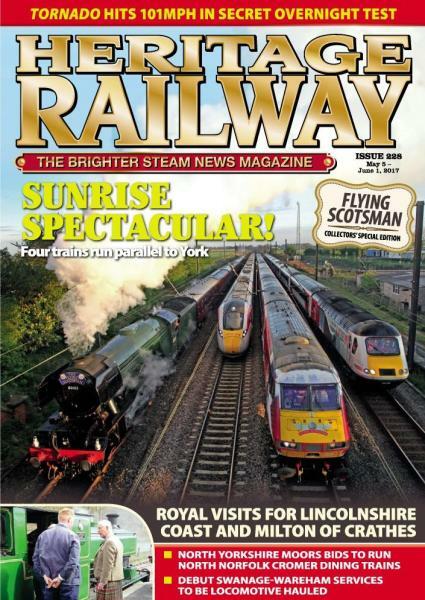 Heritage Railway is ‘The Complete Steam News Magazine”. Buy a single copy or subscription to Heritage Railway magazine. This monthly contains an abundance is dedicated to Steam trains, Locomotives and Railways! It Features famous locomotives such as “The Flying Scotsman”, “The Mallard” and “The Black Fives”. The publication uncovers how they have retained their former glory with great insight and amazing photographs. Each month, you will find a range of reports and interviews that previews rail tours and events within the UK for the forthcoming month. The publication offers reviews on new books, dvds and other memorabilia. Full of interesting facts and findings relating to the Steam train environment,. My father thoroughly enjoys reading this magazine. According to the feedback I have it is a great magazine and especially the calender of future events and days out to go to.I'm hoping to be invited out! !